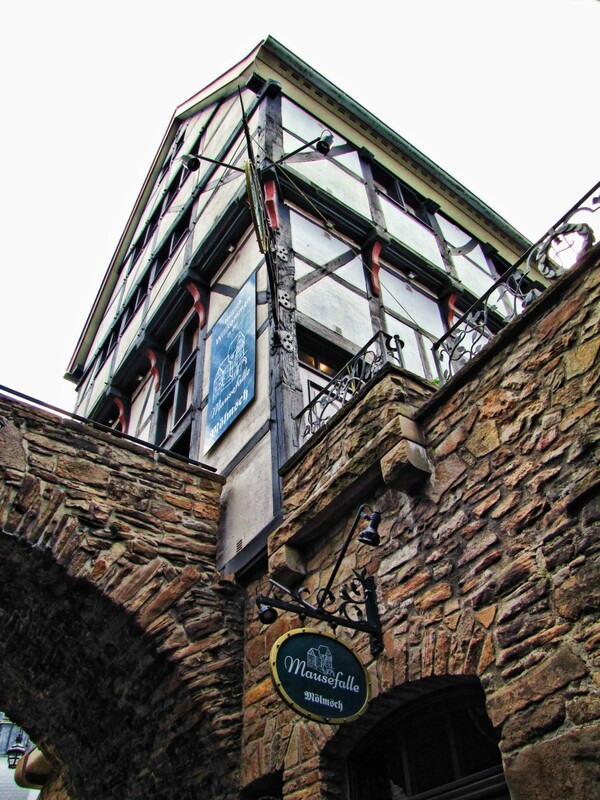 Above Mülheim’s Mausefalle is one of the old timer-frame houses of the old city center – it has always been a tavern or a restaurant called, of course, Mausefalle too! 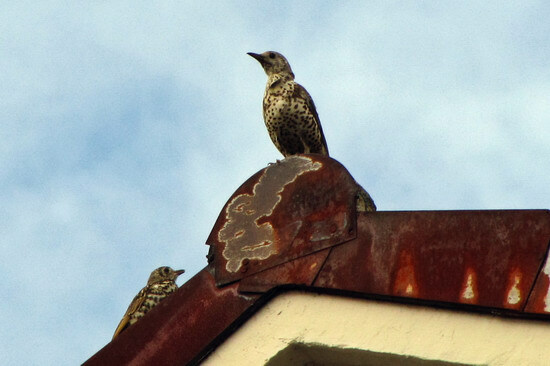 I saw those two birds sitting on the edge of a roof last month making a lot of noise, but I haven’t had time to look up what they might be. I feel like I should know, though! 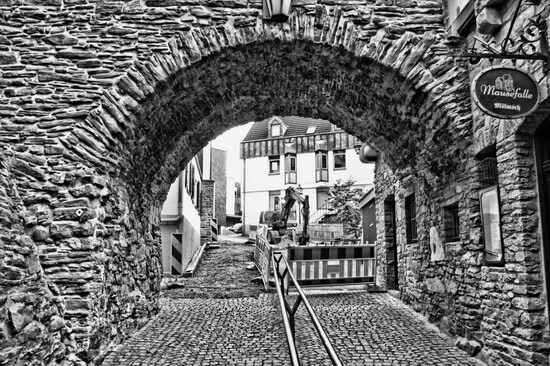 There was some construction work going on at the end of the Mausefalle, but this view is still fantastic because of the great stonework in the walls and the archway.